Home News What kind of outdoor sofa will be the trend in 2016? 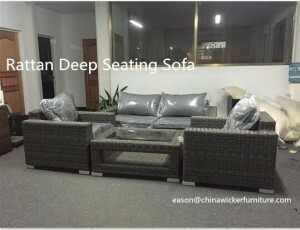 In 2016, it will be the year to prove the thick, natural looking resin wicker deep seating and dining sets, which will be the most customers’ choices. Timeless designs are proving to be more popular, taking the place of the modern design of the past seasons. Curved arms, flowing edges allow the resin to gracefully flow to create a high end look that is virtually maintenance free. Quick dry foam is a must for all outdoor patio furniture cushions. Dining cushions should be 3″ and deep seating should be at least 5″ Outdoor patio cushions are an extension of your patio sets, make sure you request quick dry foam. When your shopping for a new addition to your outdoor living space, pay special attention to the materials being used. Thicker resin equals longer life for your new set. Style is an individual choice for each consumer, 2016 is sure to be the year of a more traditional look, bringing an indoor look to your outdoor space.